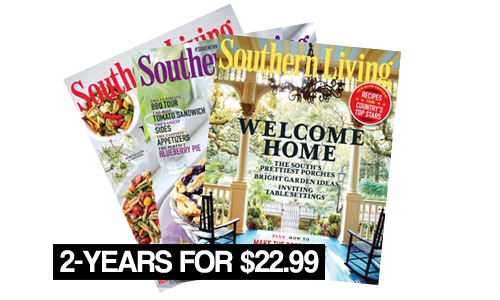 Southern Living magazine subscriptions are on sale! Through tomorrow night (3/25), get a 2-year subscription for $22.99. It comes out to 88¢ an issue! Enter the code: 23449 at checkout to get this deal. 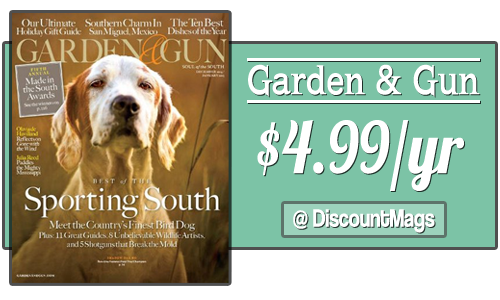 A deal on Southern Living is very rare. But this is one of those moments where one of the South’s premiere magazines is in fact at a discount! This offer expires 3.25 at midnight.